Reports of long lines and faulty voting machines plagued this year’s midterm elections, and in many instances it appeared that these “problems” were part of the plan the whole time. Whether it was failure to provide enough machines, or something as stupid as not bringing enough extension cords, voters were forced to spend hours of their time waiting for election officials to get their acts together which caused many people to leave and not vote. 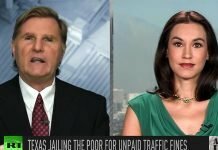 Ring of Fire’s Farron Cousins discusses the role that this kind of suppression played in the midterms. Earlier this week, I did a video talking about the fact that voter suppression, faulty voting machines, things like that, could easily swing major elections in both Texas and Georgia. And as it turns out, faulty voting machines, voter suppression, long lines, and all other forms of voting irregularities absolutely helped to sway voters in both Texas and Georgia. Now, Texas was not quite as intense as what happened in Georgia, so let’s focus on Georgia for a moment here. We had people waiting in lines to vote for more than three hours, in some instances, well over four hours. There were reports of people having to leave the lines because obviously they have things they have to do. They have to go to work, they have to pick up their kids, they can’t stand there all day long waiting for it. And that was by design. It wasn’t an accident that these polling places didn’t have enough voting machines. There was one district as part of Atlanta, on precinct that only brought in three voting machines. Three voting machines for thousands and thousands and thousands of people. And then at the end of the day they had to do a little press conference and say, “Look, on behalf of everybody here, the poll workers, election officials, we want to apologize for that. Oops. Our bad.” It wasn’t your bad, you did that intentionally because you know that those were predominantly African American districts that could have helped propel Stacy Abrams into the governorship pf your state. 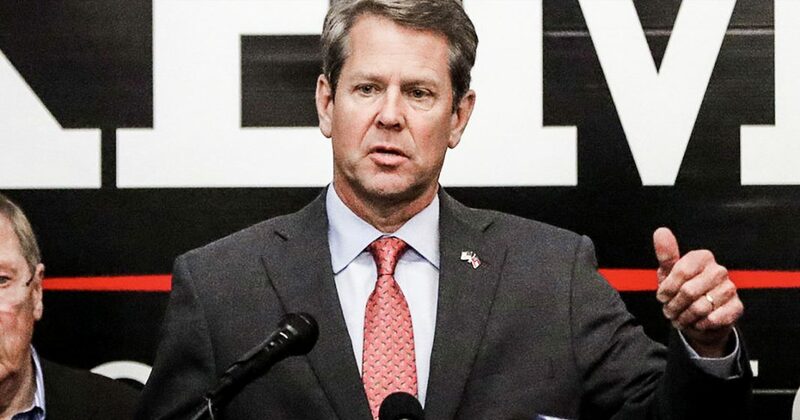 But Brian Kemp, who happened to be the Secretary of State and in charge of all the elections, was also running for governor, so he wanted to screw as many people as possible. Another precinct had lines that were several hours long because they would only have one voting thing working, voting machine, because they didn’t bring enough power cords. Literally didn’t have extension cords to plug in the other machines so people just had to wait. Had to wait for the one person to finish so they could go up and take their turn. One machine. This is all by design. This is all by design. People were posting videos on Twitter of their voting machine. They would push the Democrat name but instead of the Democrat getting the x by their name, it would immediately just go to the Republican. And they would have to try multiple times in order to get it to go to the Democrat. Multiple times. And if you’re not paying complete, absolute attention to that, then you’re not going to notice that your vote just got switched. This is all by design. You know, if only we would’ve been listening to people like Brad Freedman, and Greg Pallast, and Ari Burman, who have been shouting at their top of their lungs, some of them for more than a decade about the problem of voting machines and voter suppression. Here’s a fun idea, ladies and gentlemen. How about we not wait until two weeks before the 2020 elections to talk about voter suppression and faulty voting machines again. How about we talk about it every single week until these absolutely Democracy damaging machines and suppression tactics are gone? Because if we forget about it, if we don’t think about it again until October of 2020, then we’ve already lost.